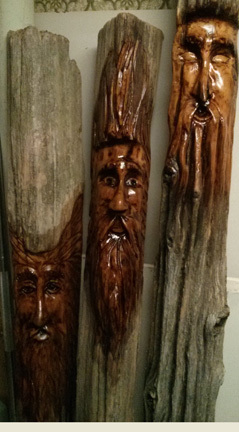 Thanks to the good people at Silver Mile Hardware in Scarborough and Roca Wood Works, I am now selling my carvings. These three spirits are now on display and looking for their new homes. They are carved into century-old cedar fence rails and range in height from 3.5 to 5 feet tall. Finished with indoor/outdoor varnish. The one in the middle has an old ring set into it, which could be used to hang a planter. To all readers and followers, happy holidays and all the best for 2015. 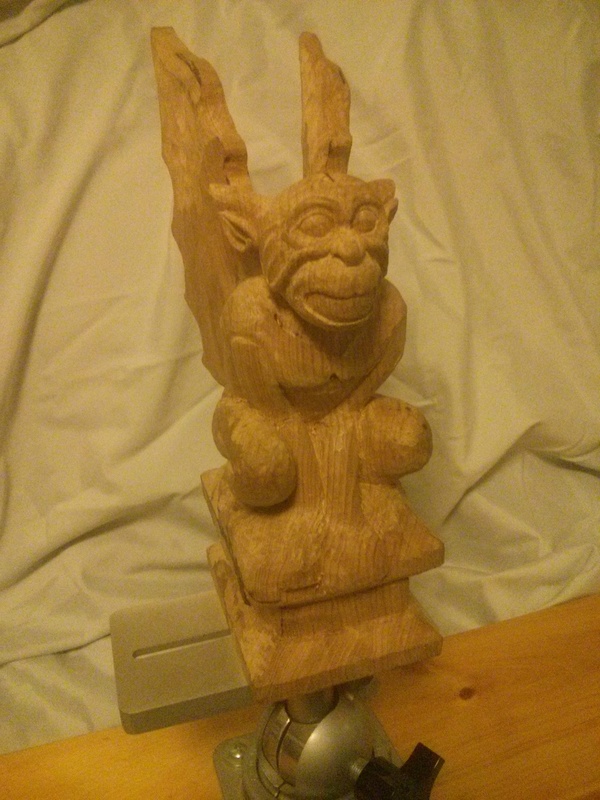 This entry was posted in Uncategorized and tagged chainsaw carvings, Roca Wood Works, silver mile hardware, wood spirits, woodcarving on 20/12/2014 by diamondcarving. People have been asking me what I’m working on these days, so here are a couple of pictures. While commonly referred to as a gargoyle, this fellow is actually called a grotesque. The difference? Gargoyles – from the same root word as “gargle” – have an elongated neck and a spout. They were added to buildings to direct rainwater off roofs and away from walls. Grotesques are/were fancifully frightening human or animal sculptures; their original intended purpose was to drive away evil spirits. I’m carving this grotesque in butternut and almost entirely with hand tools. Compared to chainsaw, where you can rough-carve a wood spirit in under an hour, this feels like slow going indeed. But he’ll be very nice when done – butternut has a really lovely grain. 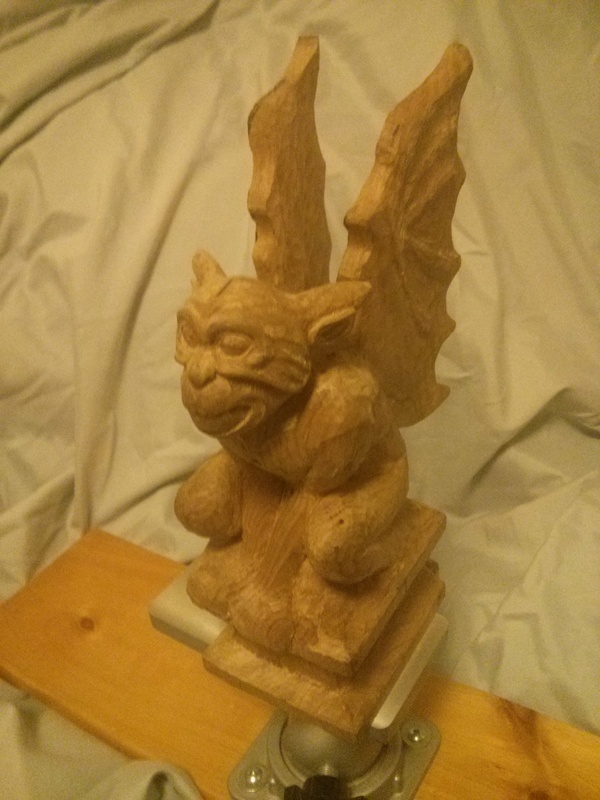 This entry was posted in Uncategorized and tagged woodcarving on 03/12/2014 by diamondcarving.